After so many years of technological advancement and growth, mobile devices are the biggest source to direct major part of traffic to your website, and their influence is only going to expand further and further. That’s exactly the reason for Google’s switch to mobile-first: to open new possibilities in the art of website optimization. To seize them, we need to answer one question first: How does one improve website rankings with mobile SEO? There are a number of factors which make your mobile website rank higher (or lower) in Google, and they can be safely divided into three major groups: technical, user experience and content. There’s an additional group for a few other factors that can’t be included into the previous three but still, deserve mention. 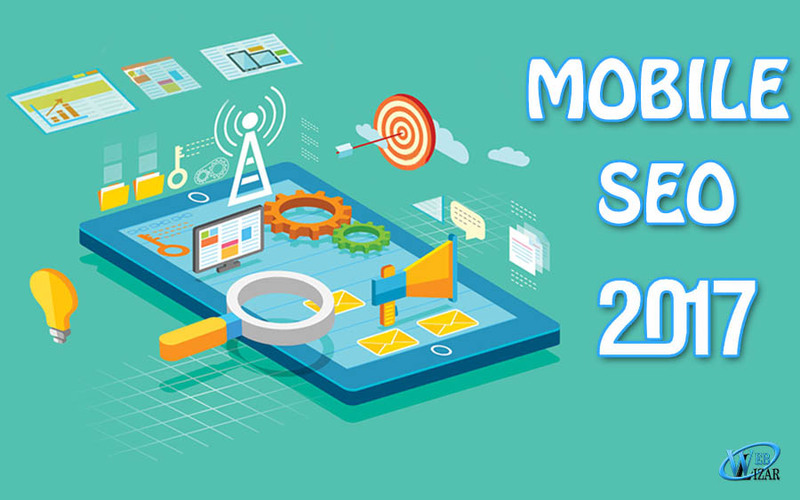 To help you get better acquainted with them, we have composed this list below that describes the most important mobile ranking factors. Your site will be benefited by this. Everyone likes fast-loading websites. They are a treat regardless of what device you use to surf the net. However, users tend to show less patience than usual with handheld platforms. According to a Mobile Ranking Factors study by Searchmetrics, the average loading time in the mobile top 10 is 1.10 seconds, and being only a tad slower (1.17 seconds on average) sends you further down in the top 30. The line separating successful sites from the poorly optimized ones is shockingly thin, wouldn’t you agree? By the way, if the site doesn’t load in 3 seconds, mobile users just close the browser’s tab. AMP’s secret is being light on their HTML and CSS code. It makes pages easily pre-renderable and cacheable for browsers, and as a result, they load 30 times faster than regular pages – basically, almost as soon as you click on the link. Thanks to this neat ability, AMPs have a positive effect not only on rankings but on click-through rates as well. No wonder they show up in almost every Google search result: after all, they offer the best of the best user experience. This will affect your website in a bad manner. Perhaps this issue will be addressed later in the future, but for now, most mobile browsers don’t support Flash content and thus can’t display it. Which is why it’s best to have none on your mobile site. Otherwise, not only can users not see what you wanted to show them, but you also risk a penalty from Google for hidden content. This goes without saying. A webmaster who allows errors and bugs on their site has no respect for themselves, their work or their users. This isn’t even a matter of ranking high in search results… though of course, that’s also a factor to consider. If your site has issues that need fixing, users are most likely to run into errors such as faulty redirects leading to the site’s desktop version and non-existing pages (good old 404 errors). Small problems can turn exploring your website into one big problem, so don’t take too long dealing with them. And big problems that are already there demand even swifter action. Who would’ve thought that something as ordinary and common as a list of whatever things could affect your site in a positive way? Google seems to reward mobile sites for having unordered lists even more generously than desktop sites. This is not surprising because a neatly organized list is easy to scan. However, rankings begin to fall when the lists have too many elements in them. Because a small screen can display only so much at a time, the golden number of bullets for mobile devices is 9. A picture is worth a thousand words. This old saying holds water in web design, as well. Apart from being aesthetically pleasing to the human eye, images are also easier to perceive and leave a stronger impression on the viewer than raw text. It’s not surprising at all that visual media are an integral part of creating an enjoyable site. However, one must not forget how abundant content affects the site’s loading speed. Optimize your images to reduce their dimensions and file size and avoid using too many. On average, a single mobile page has 4images. Pop-ups are the most hated enemy of all Internet users, desktop, and mobile. They can be shameless enough on a PC even when they ask for something as innocent as your subscription – now imagine the same on a mobile device. It’s much smaller screen makes it a lot easier to obstruct a site’s content with a single annoying pop-up form. Google knows this, and so they have rolled out an update that will smack the more selfish website owners with a good penalty in rankings. The algorithm still needs some work, but I hope you know better than to underestimate Google. If you’ve ever tried opening a desktop site on a handheld device, you probably had trouble reading its contents. That’s to be expected when a page made for your standard PC display is shrunk to a mere 540×960 pixels. For that reason, the logical solution is to use large (recommended value is 16 pt.) font on your pages – at least above the fold. That’s where the page’s headline is placed, and that’s where it must serve its purpose to get the visitors invested in the content below. Do you use interactive elements on your sites, like buttons or checkboxes? They shouldn’t be so small that the user’s finger has trouble pressing on them. Imagine the frustration from trying to hit a pixel on a screen and missing ten times in a row. What do you think will happen to your conversion rates if visitors can’t fulfill their goal on your site? Missing isn’t the worst-case scenario, though; it could get much more dramatic. If small elements are placed next to each other, the user might press the wrong one and end up posting his or her credit card information online for all to see! A bit extreme, but for an example, it brings the point across nicely. Mobile pages tend to have around 75% fewer links on them than desktop pages. This is due to the limitations placed on their size and content in order to improve UX. In a similar manner to other interactive elements, avoid placing the links too close to each other, as it’s too easy for a human digit to slip. While keywords are still important, no web page is free from the risk of being over-optimized. SEO is like chocolate: too much can and will poison you! This works with keyword presence in your content, too. And the rule of thumb is simple. The longer the text, the more keywords, and related terms it’s likely to have naturally. But mobile sites normally have shorter texts, so it would be strange for them to have as many keywords and phrases. Avoid over-optimization and keep it natural for a number of words you have. Internet marketing is a dog-eat-dog kind of world. Even after doing your SEO perfectly, you can still trip over your own two feet and fall face down in the dirt. If you know how backlinks work and what kind of advantage they provide, it should be easy to see how this could work against you. If you are aiming to rank higher for certain keywords, don’t help other websites rank for them by putting your keywords into the anchor text that links out to them. Google might interpret an outbound link with a valuable keyword in it as indicating a source that is more relevant to the page’s topic than your own site. While desktop sites remain ahead of mobile ones in terms of how many words per page they use, the mobile sites’ word count appears to be growing little by little. Curiously, a higher number of words places you further away from the top position in rankings, but URLs ranked worse than the top 10 have roughly the same text length as in the top 3. Setting aside the confusing statistics, you should try to make your content rich by the mobile screen’s standards rather than the desktop’s. Between 700 and 1000 words is plenty. Rich social engagement provides a ranking boost for a site regardless of the platform. Users browse social networks on mobile, too. There’s no reason why you shouldn’t use this to your advantage. An average user spends about 30 minutes a day on Facebook alone. Over 77% of all content shared via mobile goes through messaging apps like Facebook Messenger and WhatsApp, making them an excellent platform for attracting visitors (through means such as newsletters, invitations or ad targeting). Don’t forget that social media’s primary purpose is communication, and communication equals feedback! You won’t find it in such abundance anywhere else. Local SEO is essential for every business with a brick-and-mortar location. Mobile devices can be taken anywhere with ease and thus are more often used for finding places (including places to shop). Putting these two facts together, mobile SEO will give your business an even stronger presence on the Web. But you may get discouraged if you try to research the conversions. According to data from Q4 2016, desktop websites got a 26% cart conversion rate, while smartphones brought only 16%! What gives? Well, there’s a really simple explanation: it’s because the shoppers prefer to make purchases on a larger screen. They use a mobile device to find what they want and then switch to a desktop machine to enter payment information. See how important it is to have a site tailored for each type of platform? Just like any other new year, it’s the right time to evaluate your SEO strategies according to the changes new year has come along with. This isn’t going to be any complicated, but still small little things in SEO world can show us disastrous results and who knows where your traffic is going when you are not doing things right. Ahhmmm maybe your competitor. New year’s resolutions are not just about our personal goals, so it may be the ideal moment to focus on your business goals and seek the best ways to boost your SEO presence to improve authority, value, and ranking. Well, let’s see some suggestions that you might find useful to know how to improve SEO in 2017. So, it is really important to add more value to your content keeping in mind that it should maintain relevancy with your niche customer group. It never was about publishing unique content but also about knowing your audience well and the queries or solutions they are looking for currently. This will make sure that you rank on top in search engines as the present day query of your audience is what you are publishing about and practicing these steps daily. Some more steps to add more value to your content,Dig deep into your existing content and find if anything is according to the present needs of your audience. Dig deep into your existing content and find if anything is according to the present needs of your audience. Investigate well about your audience’s niche queries before answering them as you don’t want to be hitting darts in dark. The best policy to beat your opponent is perfect timing and suitable content, make sure you are mixing them both perfectly. Do not hesitate to expand your niche area, provided that you’re still useful for your target audience. For many of you who doesn’t know, the user experience is considered critical for SEO. Both user’s and search engine should be appealed by your content for effective readability and crawlability. You should consider your user’s navigation as one of the top priorities. From menu structure to cross-linking of your pages and the page’s design should be built according to your user’s navigation as this might prove to be disastrous at the end if not taken care of. You can take help of User Flow in Analytics to know your audience’s navigation path. You should maintain your site’s page speed, as it is one of the crucial properties that could affect your SEO badly. You can take help from Google’s Page Speed Insights and Mobile-Friendly Test. AMP’s (Accelerated Mobile Pages) is the new trend that google is implementing from last year November to increase it’s mobile user experience. So this is definitely one thing you should consider for your SEO strategy in 2017. As we have already faced this in 2016 that the authenticity of your actual content is more important than it’s optimization. There’s no need to spend more time on the optimization if your content is not appealing enough for your audience. You should monitor the keywords, the user engagement to any particular topic and of course the user flow to find out what users are really expecting out of your page. Think out of the box to expand your content’s reach and make sure you always think as a reader rather as a search engine. Ask yourself, are the topics and the structure appealing to my target audience? Remember, the combination of seamless user engagement with quality content can have a very positive impact on your SEO rankings. Yup, you heard it right, visual content is definitely the new trend. It manages to enhance text in the best possible way (or even to replace it) and it certainly can affect SEO. We strive so much for the other things that we majorly tend to forget how visual content should still be optimized for search engines, but luckily it only takes a few minutes to boost its SEO performance. Your online presence goes way beyond your site. Every time we try a new social platform to expand our online presence, we tend to forget after some time to update it or even to use it as there are many platforms on the internet. For example, let’s say you create a Google+ page, but you’re not using it anymore (or you tend to forget to share your content there). Make sure all the details there on the page is up-to-date and a user can easily find your business by visiting your page. Hope you have enjoyed the blog post, try and implement these strategies and let us know what impact has it done on your website as far as SEO is concerned. Also, if you haven’t read about Few Tips For WordPress Site Owners to assist SEO or Top 10 Most Common SEO Mistakes, read about them. Optimizing your website and weblog is an important part of your content promoting strategy. whereas SEO is an ever changing field, it stays on top of marketers’ agendas because it is a powerful way to bring footfalls to your company’s outlets and to direct them towards your sales funnel. SEO strategies are perpetually evolving because of search engines’ developments and users’ dynamic views. it is not that simple to remain on top of the foremost booming optimization techniques, with several businesses falling into the lure of incorrectly doing SEO, rather than seeing large traffic and increasing conversion rates, the results are quite different. There are some common SEO mistakes that are almost unavoidable. Testing optimization approaches is also tough since you can’t verify your strategies in real-time since search engines’ rules are getting arduous to predict. While the optimization field is ever-evolving, some practices are proving effective, whereas others are harmful at the end of the day. 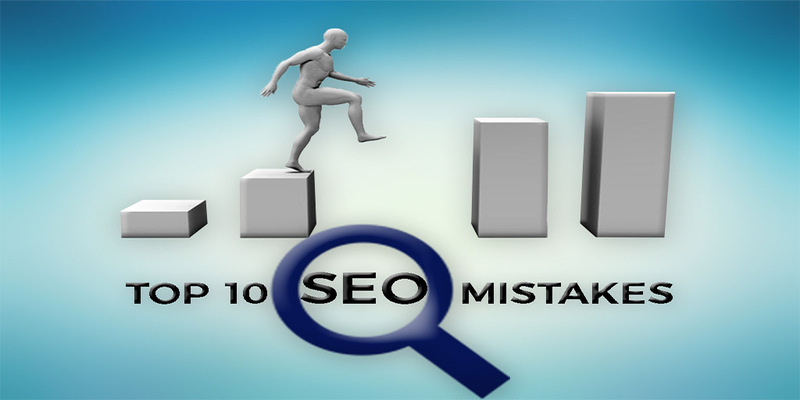 Let’s review the top 10 common SEO mistakes you must avoid making sure your business online presence can bring the required results to match your efforts. Let’s talk about our top 10 most common seo mistakes. The key to optimization are the keywords that you wish your website to rank for on search engines. However, are you selecting the correct ones? One of the most common mistakes in choosing keywords is ignoring the priority of search engines and users for long-tail keywords. Whereas you would possibly define your product and services in a very certain manner, it’s more necessary to know what words your potential customers would use to reach to them. Generally, the terms you think are correct may possibly mean something completely different for others, or may be too generic. In either case, you’ll be optimizing for all the incorrect keywords. It’s best to try and do your background analysis carefully before you begin the optimization. Using tools just like the Google AdWords KeywordPlanner, Google Trends, SEMrush , AHREFS and Moz Keyword explorer will facilitate vastly in putting your finger on the tip of trending and adequate keywords. You might assume using your target keywords in each and every sentence of your content would boost your rankings online. This strategy isn’t much but a myth. In fact, exaggerating your chosen keywords is registered as spammy by search engines, which implies it badly hurts your SEO performance. That’s why keyword ‘stuffing,’ or overusing your supposed keywords, isn’t crucial to your SEO success. Such an approach would create your content unnatural and useless for its meant audience. In fact, Google is using a special linguistics search known as Latent Semantic Indexing (LSI). This program will identify your content’s subject without the necessity for stuffing your content with repetitions of your target keywords. Another common snare in SEO optimization is generating content that’s not really concerning your keywords. The matter of fact is that you simply need to rank for a particular keyword, but you fail to focus the text on your target topic. Search engines like Google make it sure to serve their users with the most relevant content for their search terms. Thus, if your content doesn’t answer user needs, it won’t rank well. This error is usually a result of making an attempt to suit a couple of entirely different topics among a single piece of content, making low-quality work only for the sake of including keywords or optimizing for many keywords in one article. Your primary goal ought to be to provide content that really corresponds to the queries and needs of your audience, as well as using the correct search terms. Then search engines are going to be able to trace your content as resemble the keyword you’re optimizing for. This next ordinary mistake is expounded to the standard of your content. While duplicating lines was a normal practice back in the days, now search engines punish this approach. Repetition and copying content is seen as a spammy method and is extremely downcast. Duplicate and slim content merely don’t work. Rather than scratching off the copy from different places or using the software system that alters the content into a brand new form, it’s worth investing in making original and purposeful texts. This is often the only way to ensure your website doesn’t get downgraded and pushed within the back of search results. Optimizing your content doesn’t end once you contain a target keyword in your post. Title tags and meta descriptions are essential components of SEO that should not be overlooked. Skipping them directly means to decrease the potential of your content. These optimizing factors are taken into account by search engines once crawling your online property, thus if properly done, they’ll improve the appearance of your content. Another technical aspect that content marketers generally skip is encoding image tags to all the images. The alt tags of the visuals you cover in your content are vital, as they’re another sign of how you’re targeting articles. Search bots cannot see the images – however, they’ll scan the alt tags and add this info in the manner they index your pages. To get the most out from SEO, content marketers these days should know this that the quality of external links included in content is much more necessary than their quantity. That’s why it’s better to make sure you are linking to relevant, well-ranking and good PR websites with solid online reputation – not simply any website. It’s also helpful to link back to sites that have connected to you, as this brings back traffic later on. Another dangerous practice when it includes links is using useless anchor text. This wastes valuable SEO opportunities because the anchor texts signify to the reader and to look bots what the link is regarding about and the way it will be beneficial to users. Thus, avoid using ‘click here’ as an anchor text and ensure you pick for a range of anchor texts, and not using a similar text over and over again that will be seen as spammy. There is also another common mistake once including internal links that you really should look out for. Typically, it’s essential to assume your top-performing pages and think about injecting links to them in your content. This is often a way to provide them visibility and make further traction. But ensure you don’t comprise internal links only for the sake of arranging them in a piece of writing if they don’t match the topic and focus of the composition. As with keyword stuffing, it’s crucial to observe out and not exaggerate internal linking. If the content and links appear unnatural, the work will not be appreciated by your target customers. it might not be favorably treated by search engines either because it is seen as a dishonest practice. SEO isn’t solely about content and keywords. It’s also regarding the condition of your website, significantly its performance on mobile devices, that are users first priority these days. Google and all other search engines will recognize once your website isn’t mobile-friendly. If you haven’t thought of a sleek mobile experience for your audience, your grade on search engines will be jeopardized. 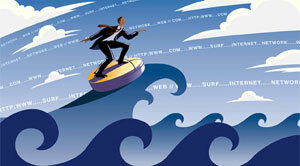 A similar concept goes for load speed, as it is also an important factor as far as search engines are concerned. You shouldn’t be shocked if a slow website results in lower SERP. You can use online tools like Pingdom and GT Metrix to research where the speed issues come from and the way to repair them. Optimization contains a social dimension also. After you are distributing your content on social media, one among your main purpose is to induce the awareness of users who have a major online influence. 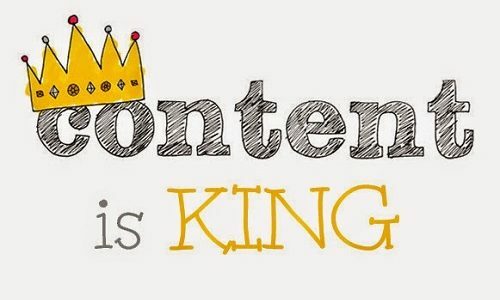 This indicates that their content gets noticed by each your readers and by search engines. That’s why it’s vital to make a connection with such ‘power users’ and to use their reliability to market your content. Another side of this can be submitting your blog posts or website promo to social sites like Digg, Reddit, or Quora while not having a power user. It’s abundantly easier to create noise about your content once the user sharing it has plausibility on that network. Building link and doing structured reach via influencers is an essential part of your optimization plan. Last but not least, the sole way to understand if your SEO optimization and content efforts work are to trace their growth. Several marketers would ignore the numbers, however, this is often a heavy set of mistake. setting up and frequently reviewing your analytics is crucial for your optimization results. Google Analytics and Google Webmaster Tools are simply two of the most amazing tools you can use to calculate and acquire a summary of your website’s performance. With their help, you’ll be able to see how your optimization is functioning for numerous types of content and using various ways you’re attempting to reach out to your targetted audience. Search engine optimization is a crucial part of any content promoting strategy these days. While you can notice lots of recommendation online, creating a variety of typical SEO mistakes is kind of common. Instead, it’s better to urge well acquainted with the challenges that others have experienced and avoided them in your promoting efforts. These ten errors have evidenced quite widespread so that they are currently easier to recognize before you make them. Meanwhile, you can also check out to some of the useful WordPress Plugin that ensures your image is SEO friendly or a Responsive Image Slider to show your photographs. Read about how you can boost your video rankings on search engines or Most Googled terms of 2016.